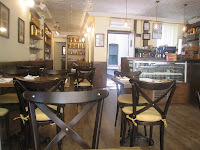 A few tea shops have popped up recently in the West Village. When Yosh O. mentioned that she was thinking of going to Bosie with her friend BL, I jumped at the chance to join the fun. I love tea places that are not all frills and chintz, and Bosie is a nice mix of wood tables, walls of tea canisters, and pretty, but not frilly teapots. L’Âge de Thé is the tea brand within the golden canisters. 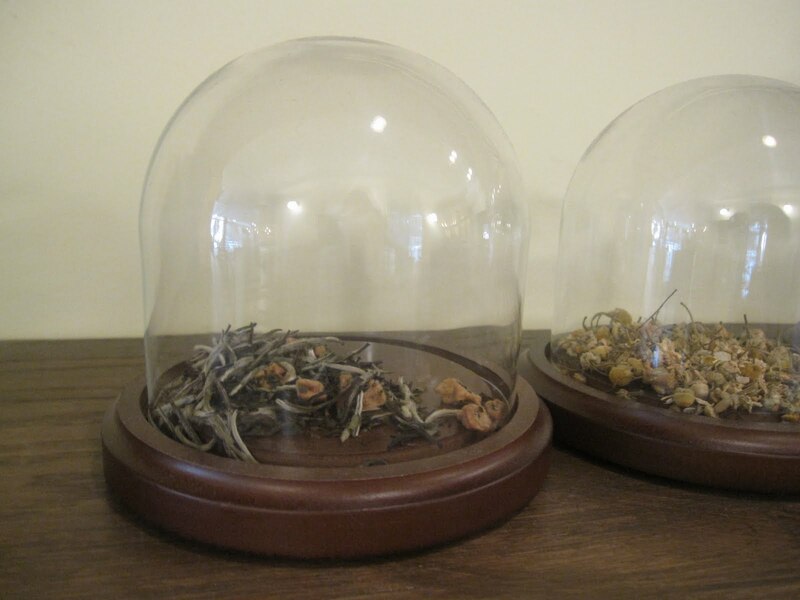 This is their in-house brand, which according to their web site is "a collaboration between Kiley Holliday, the youngest female Tea Master in the United States, and Nicky Dawda, an accomplished New York restaurateur and former hedge fund CTO...Holliday and Dawda travelled to many estates, personally tasting and selecting the finest teas of each region that comprise the collection." The tea selection did not disappoint. 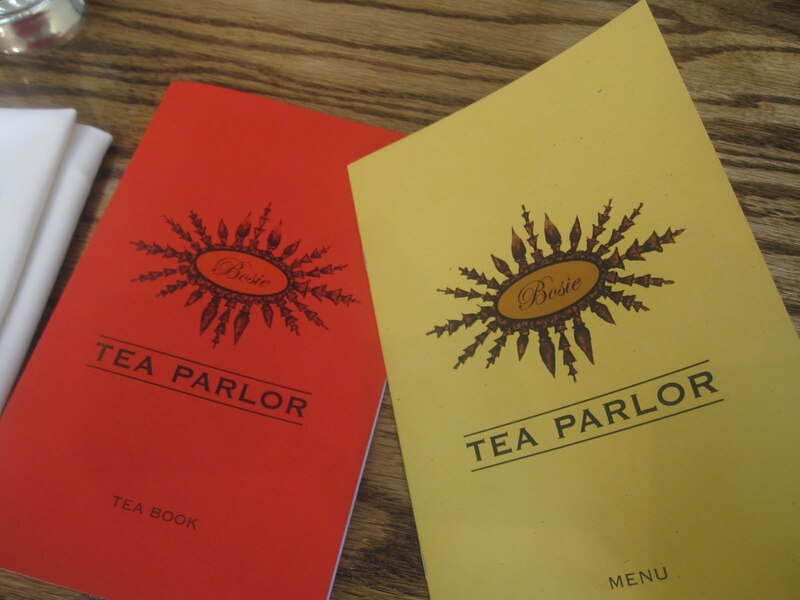 There are teas for just about every palate. 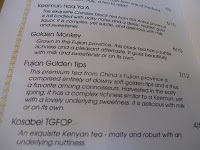 I was also gratified to see the herbal teas relegated to the very back of the tea menu. 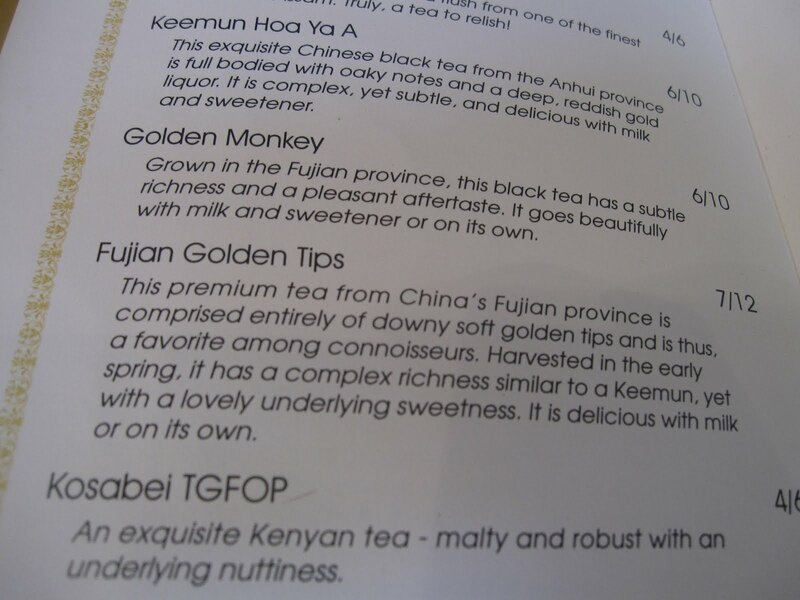 Anyway, I was in the mood for a black tea, and decided on the Fujian Golden Tips. A little while after ordering, I heard tea timers go off and our drinks arrived. My tea was lighter in color and flavor than I had expected, and was very subtle. I could taste a honey sweetness with a touch of malt. The tea was pleasant and soothing, but I was expecting something a touch stronger. It could be that I had the wrong expectations, but Yosh also commented that she thought her tea was weak. I've mentioned this a few times before, but taste preferences can vary. I wish that we could get the steeping basket on the side, in order to steep longer if necessary. But I suppose that when I dine in a restaurant I wouldn't tell the chef how to prepare the food, so perhaps I shouldn't tell the staff how to brew the tea. Still, I would have preferred it a little stronger. Along with our tea we had a few standard tea sandwiches, and delicious pastries. I later found out that the pastries are all made by Damien Herrgott, who worked at Ladurée in Paris and Bouley Bakery in New York. As you can imagine, the macarons were very authentic. They had great texture and flavor (for the most part). My favorite macaron was one made with Darjeeling tea. 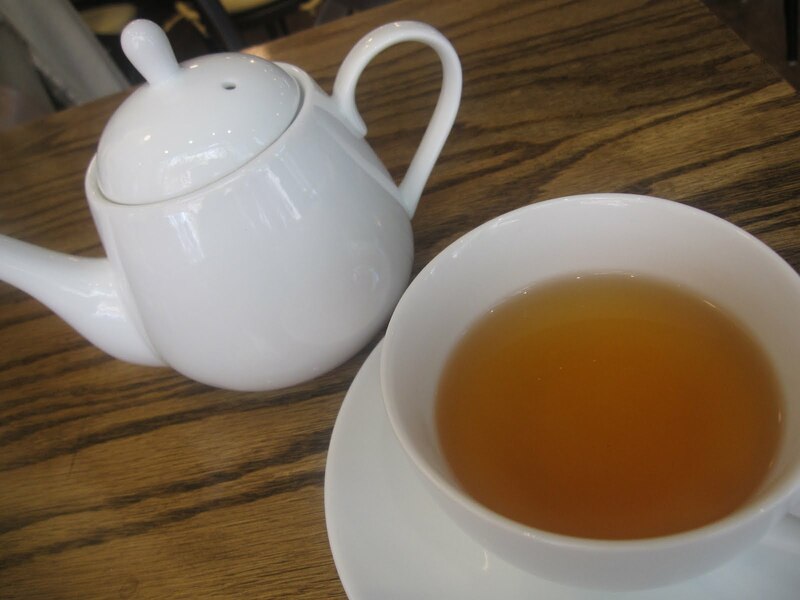 It had a strong Darjeeling flavor, but also a gentle sweetness. It was exactly how I'd want a Darjeeling macaron to taste! I also had a Matcha macaron which was very well done, and had a strong matcha flavor. The only miss for me, was the 'Jasmin'. I was expecting a subtle floral taste, but it was so strong, I felt like I was biting on a bar of perfumed soap. Tea under glass...true works of art! Bosie is a nice little find in the West Village. 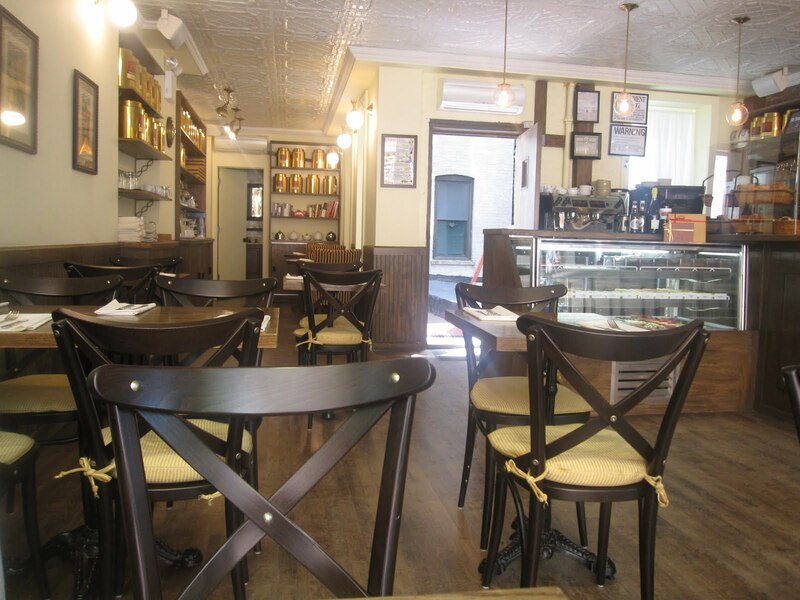 It's a perfect stop after strolling through the neighborhood's historic nooks and crannies. A comfortable place for some tea, and a tasty macaron. 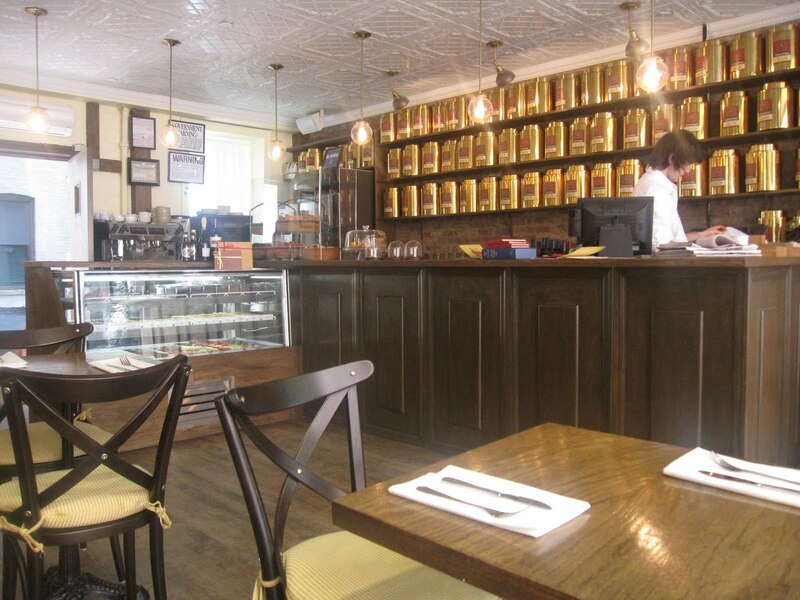 I am compiling a list of 'Tea Happiness Recommended' places in NYC, and Bosie will definitely be included. Hi Sara. It sounds like a cool place... but they definitely understeeped your teas. It can happen at even the best tea houses for one reason or another. I think you should have said something... if they're cool (and they care about their customers) they'll happily make the tea again to your specifications... but if they get defensive, or say something "snarky" or condescending then you'll know that they (or at least one member of their staff) is lame. You're right, I should have said something! Don't know why I didn't think of it at the time. If it happens again, I will definitely speak up. 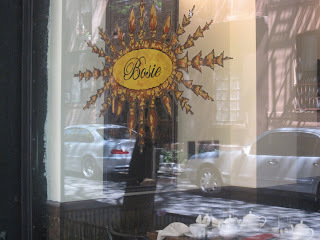 We love Bosie too! It's just tucked away enough. 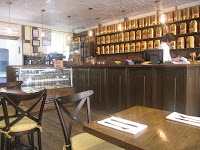 You should try the Earl Grey Milk tea.